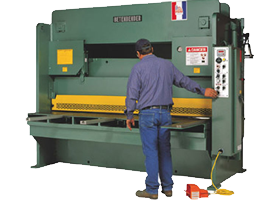 Betenbender | R.J. Kates Co.
Betenbender manufactures Hydraulic Shears that can make a razor-sharp cut time after time. Betenbender overdriven and under driven Hydraulic Shears come in eight different models: 1/8″ or 10 GA, 3/16″, 1/4″, 3/8″, 1/2″, 5/8″, 3/4″, and 1″. 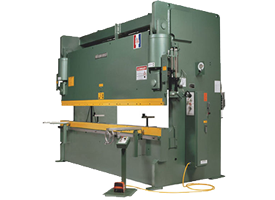 Betenbender designs simplicity and safety into its shears-with an advanced hydraulic system and flexible operation. They are versatile, accurate, rugged, easy to operate and easy to maintain. A wide range of options are available. 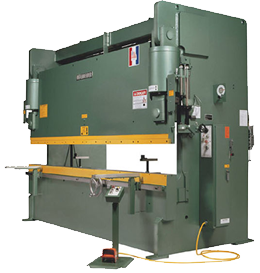 Also manufactured by Betenbender are Hydraulic Press Brakes, ranging from the 17-ton model to the 350-ton. No matter the size, each machine features convenient operation for maximum output and ease of maintenance for maximum productivity. A line of SEP (Single end Punches) offers a the wide range of tonnage’s, throat heights, throat depths and stroke length and for heavy duty pressing requirements, they offer the PJP press series. 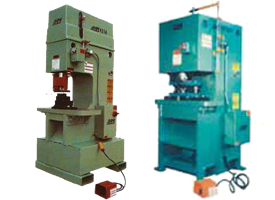 These presses feature larger platens and longer stroke than their SEP series.